San Gabriel is a small charming town near Los Angeles that grew around the Catholic Mission San Gabriel Arcángel. The mission and its beautiful 19th century church are the main draw for the tourists. San Gabriel’s most popular outdoor space is Vincent Lugo Park, which is also home to La Laguna de San Gabriel or Monster Park, with 14 sculptures of friendly monsters that kids love to play with. Mission San Gabriel Arcángel is a Roman Catholic mission established in 1771 by Father Junipero Serra, one of 21 missions the Spanish Franciscan Order established in California. It was moved to its present beautiful Moorish-style church in 1805 and it is still active. The church, which is a famous landmark in San Gabriel, looks like a fortress with its long, narrow windows on the side wall. The church is similar to the cathedral in Cordova, Spain. Some of the most fascinating artworks in the church are The Stations of the Cross, painted by neophyte Indians. The paintings were exhibited at the World's Columbia Expedition in 1893. Next to the church is the tiny San Gabriel Archangel Cemetery, which was established in 1778, making it the oldest cemetery in Los Angeles. Located in the heart of San Gabriel’s historic neighborhood, San Gabriel Mission Playhouse aims to promote artistic programs in the community by encouraging artists, producers, and audiences. 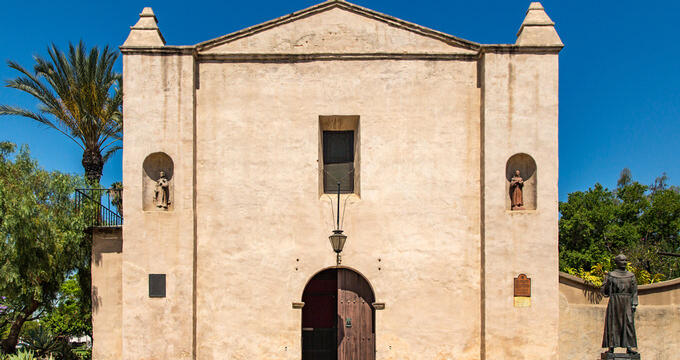 Through the playhouse, the San Gabriel Mission embraces its role as a community focal point for the arts. The playhouse hosts a range of eclectic and very popular productions and events that range from Chinese opera and Western symphonies to classical ballet, folk dances, jazz, hip hop, mariachi, and true Broadway shows. 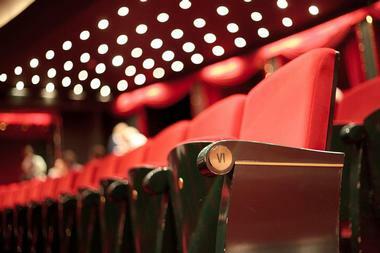 The playhouse also hosts the nation’s best children’s touring theatres, silent movie nights accompanied by a classic Wurlitzer organ, and much more. BeautyBar SGV is a huge, 2,000-square-foot beauty salon, or as it is better known “pampering service” in downtown San Gabriel. They offer five-star customer service in a pleasant, friendly, and professional atmosphere. 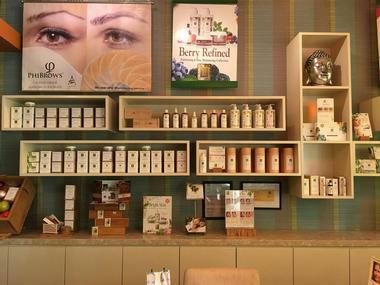 Known best for their nail care, they also offer facial skin care and waxing. One 1,000-square foot space is devoted to solely to nail art. Their nail service is fully customized and their talented nail artists take as much time as necessary to provide their clients with true works of art. BeautyBar has three private rooms for waxing and facials and they use the best quality products available. While being pampered, the clients are offered complimentary juice, wine, tea, coffee, chocolate, or mimosas. 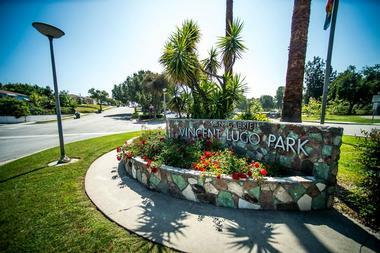 Vincent Lugo Park is the largest park and recreation space in San Gabriel. This beautiful and very popular park is home to La Laguna de San Gabriel or Monster Park, considered one of America's coolest kids’ playgrounds. La Laguna was created by artist Benjamin Dominguez and has 14 cement sculptures of friendly looking sea creatures poking out of the sand in the sand-filled lagoon. There are: Minnie the whale, Ozzie the octopus, Stella the starfish, and Flipper, Speedy, and Peanut – three playful dolphins. Next to Laguna is a picnic area with 10 tables and barbecues. The Sage and Oak Picnic Areas, with six tables each and barbecue grills, are available for rental. Vincent Lugo Park also offers baseball diamond, multi-purpose athletic field for youth, and the Girl Scout House. 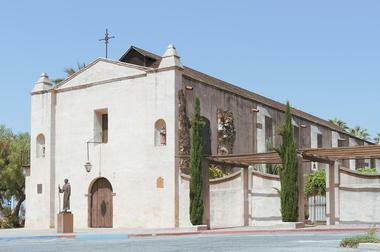 The Ramona Museum of California History is located in the heart of the historic San Gabriel Mission District. The museum was opened in 1972 in San Gabriel’s Highland Park by members of the influential organization Ramona Parlor #19, Native Sons of the Golden West. 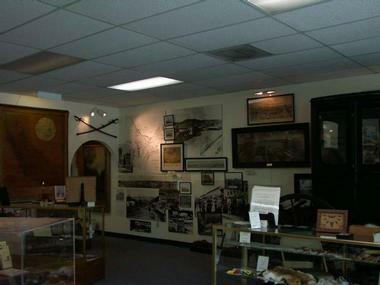 The museum houses an eclectic collection of relics and artifacts from California’s colorful and turbulent history that were collected by Ramona’s members for more than a century. The fact that many of the members of Ramona Parlor #109 were prominent Los Angeles personalities tells of the importance and value of the museum’s collection. The collection contains objects such as combs, slippers, spurs from the mid-1800s, photos and artifacts from the 1906 San Francisco earthquake, some unpublished photos of Theodore Roosevelt, and much more. Organic Zen Spa is an upscale spa that has the Zen philosophy at its foundation. The spa provides a calming environment where clients can get away from the everyday stress and have a tranquil moment to themselves. Organic Zen Spa combines high-quality natural body and skin care products with excellent customer service and serene surroundings to calm the body and mind and bring awareness and spirit to everyday life. After the clients are relieved of all toxic stressors in the Zen spa, they are invited to relax in the meditation room and take some fresh fruits and hot teas. The spa offers a range of services such as massage therapy, minor skin irregularities, eyelash extension, makeup, and waxing. Newport Seafood Restaurant in San Gabriel is a non-traditional Chinese restaurant that brings together many Southeast Asian cuisines, including Chinese, Vietnamese, Cambodian, and Thai. This upscale restaurant specializes in seafood, with lobster being their house special. The restaurant is elegant and beautifully decorated with original artworks from Guangdong in China. As they enter, visitors pass by massive floor-to-ceiling tanks full of swimming crustaceans — massive lobsters and king crabs. Newport Seafood is equally popular with families for Sunday lunch at one of large communal tables, as with business partners and couples looking for a romantic dinner. There are discreet cozy nooks with banquettes along the wall. 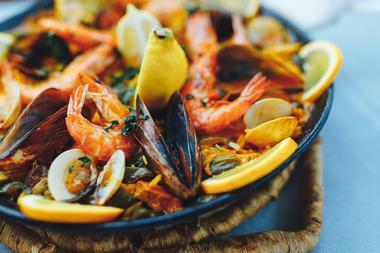 The menu is full of wonderful surprises, but their house special – spicy lobster – is a must. It is cooked in a wok with green onions, black pepper, jalapeños, and clarified butter. 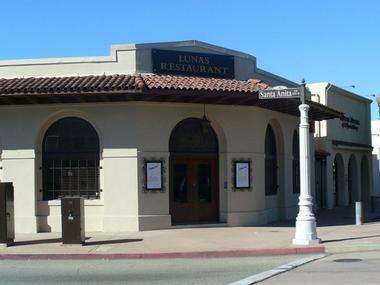 If you crave Mexican food in San Gabriel, Lunas Restaurant is there to satisfy it. This quaint and very popular spot offers a fresh spin on predictable beans and cheese. Warm colors and classic decor create a pleasant atmosphere and the extensive menu offers something for everyone. Their stews and soups are like made by your Mexican abuela. Try pozole – a pork stew with hominy, cabbage, onions, cilantro, and radishes – or albondigas – meatballs with zucchini, carrots and celery, served with tortillas and rice. The full bar makes great margaritas but has just about anything else you fancy. Located on the main drag in San Gabriel, Babita is a hidden jewel. This quaint, warm, and cozy family-run Mexican eatery serves incredibly sophisticated dishes such as gueritos rellenos – yellow chilis stuffed with salmon ceviche and savory strawberry sauce. The chef makes each dish himself and loves explaining to his guests how each dish is made, so be prepared to wait; it is well worth it. The menu is large but everything is excellent. Leave some space for their imaginative desserts. There are low fat and gluten-free options. They have a small but very respectable wine list. Of course, you can always go for beer or margaritas. Little Sheep is a restaurant chain with 30 locations all over the States that has a mission to introduce Mongolian food and culture to the North America. 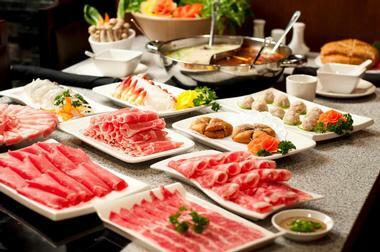 Their specialty is traditional Inner Mongolian hotpot, which is a pot filled with a delicious broth full of herbs and spices in which guests cook their choice of meats and vegetables – on their table. The broth is cooked every day from scratch and can have such ingredients as goji berries, black cardamom pods, jujubes, ginseng, and all sorts of herbs. You can even choose two different broths, half-half. The choice of ingredients to cook is large – a platter of all-natural lamb, Angus beef, seafood combo, veggies, and much more. Their San Gabriel location is modern and sophisticated and always packed.